The Miami Heat Index article, NBA Max Salary: Mo’ Money, Mo’ Problems, identified 12 players that qualified for max salaries since the NBA introduced the rookie scale contract in the 1995 collective bargaining agreement. That article also identified 27 additional players that produced enough wins to command 30 percent of the salary cap (i.e. 10 wins in an 82-game season and six wins in a 50-game season). 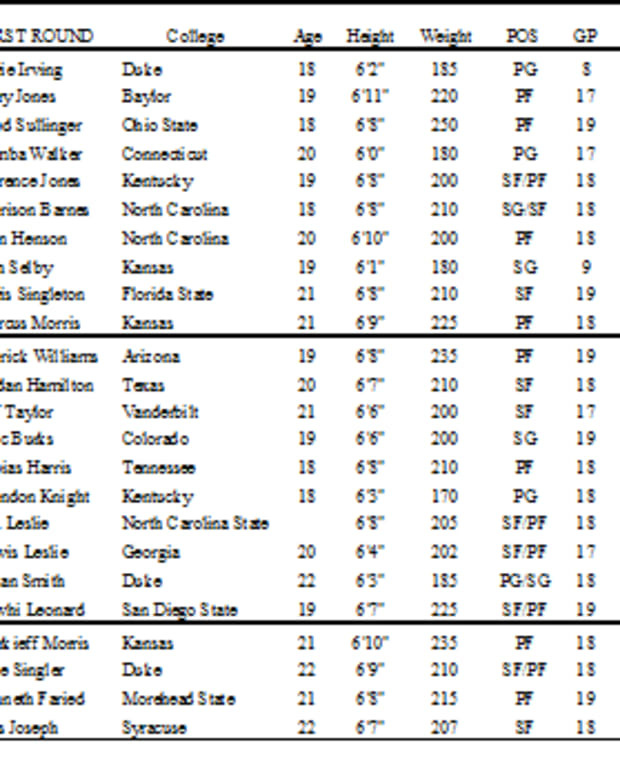 Here’s a list of the drafts from 1995 to 2008 ordered from most to least max players. 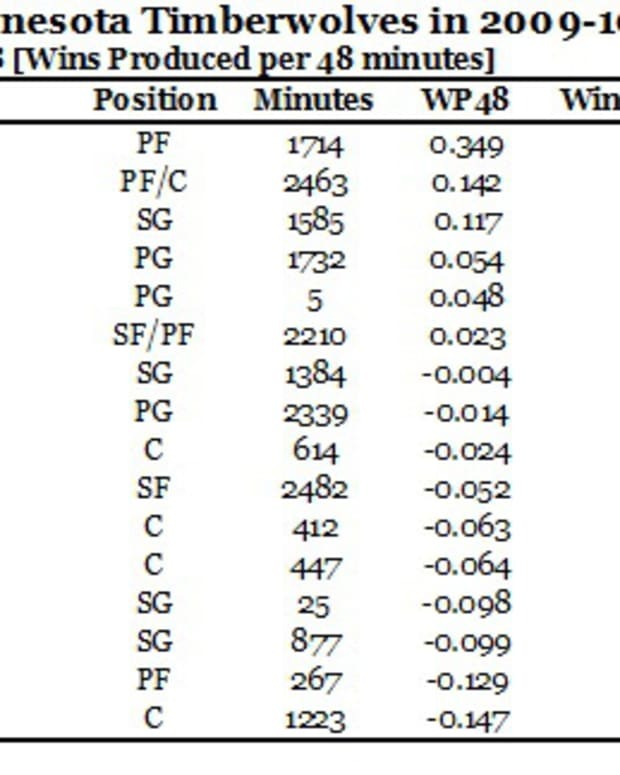 2004: Seven max players. Best in class: Dwight Howard. 1996: Five max players. Best in class: Allen Iverson (old habits die hard) Kobe Bryant. 1999 and 2003: Four max players. 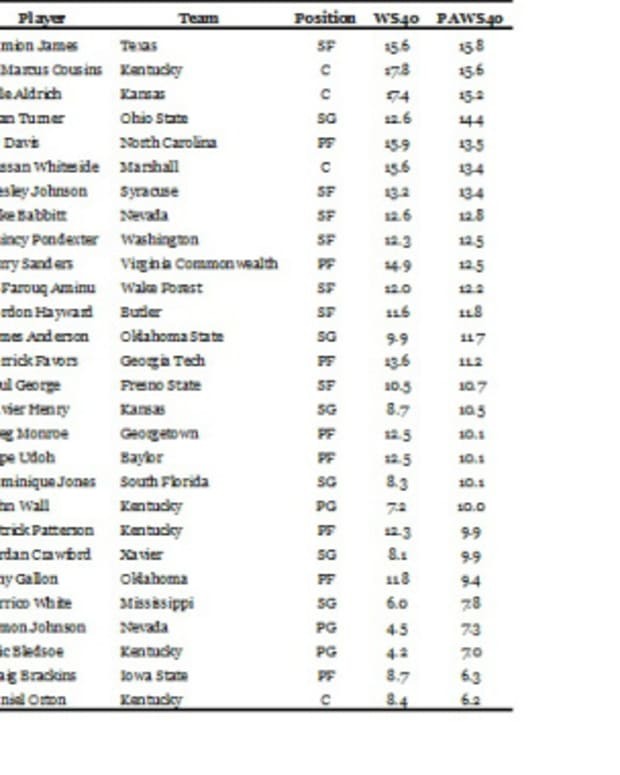 Best in class: Shawn Marion and Dwyane Wade (oops, did it again) LeBron James. 1998, 2005 and 2007: Three max players. Best in class: Paul Pierce, Chris Paul and Kevin Durant. 1995, 1997, 2001, 2006 and 2008: Two max players. Best in class: Kevin Garnett, Tim Duncan, Andrei Kirilenko, Rajon Rondo and Kevin Love. 2002: One max player. Best in class: Yao Ming. 2000: No max players. First pick: Kenyon Martin. Any predictions for where the 2009, 2010 and 2011 draft classes will rank? I say three max players for the 2009 class (Blake Griffin, Tyreke Evans and Stephen Curry), two max players for the 2010 class (John Wall and Greg Monroe) and none for the 2011 class (not a believer in Duke, Kyrie Irving or the Cleveland Cavaliers). 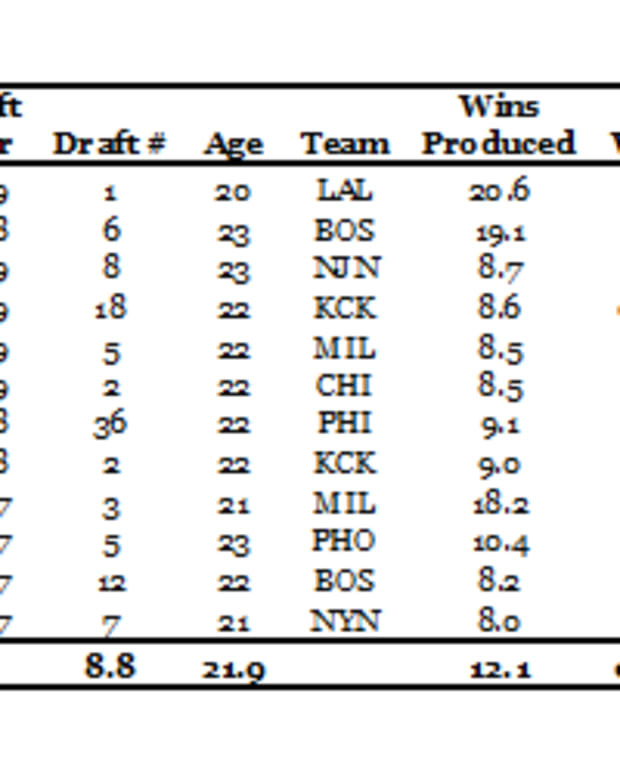 How Productive is the 2010 NBA Class?